Have an above-ground pool? Have a below-ground pool? Tired of putting chemicals in your pool? Let’s discuss! This entry was posted in Talk To Remington Solar. Bookmark the permalink. Is this the same as adding copper sulfate to the pool? If not, how so? No, the ionizer is a trickling system that will slowly add copper ions. I need a new brush but can’t find one ? I have an 11,000 gallon Gunite salt water pool. What should I have my chlorinator set to with the Remington in use? Just turn it down low. I love this product. I owned it for over a year and just replaced the copper rod last month. My question is: should I cover the pool with solar cover during winter time? I live in Southern California. Also should I use the unit during winter season? You can and should use the SunShock during the winter but do not use a solar cover. Hi, ours is a 13,000 gallon ozone water pool. 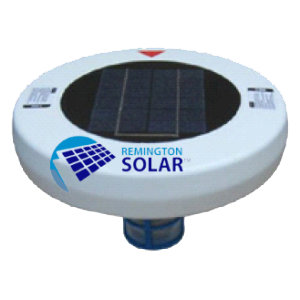 I got the Remington Solar but when I screw the anode to the solar panel, it keeps rotating and does not stop. This unit is just 4 days old. What should I do? I got this from Sams. Should I return and get it replaced? When I picked it up today to look at it, ALOT of blue specs fell out of it and into the water. I was just wondering what this could be? It is ionized copper, nothing to worry about. If you have a skimmer it will pick it up. Does the spring enclosure need to be cleaned? Mine gets quite corroded; but I suspect that doesn’t harm the usefulness of the unit. Also, despite cleaning the plastic screw and WD40’g it, it still doesn’t screw fully into the anode, leaving the cage a little loose against the spring. Is that ok? Sure, if you can give it a scrub when cleaning the anode, then that’s a good thing. re. : cleaning anode and cage. Thank you for this product…totally cool! Have a question, and trying to find the answer among 249 comments is…well…a struggle. How much do I clean off the copper anode — totally to the copper core, or is a little residue ok. And it seems the cage needs cleaning too – is that always/occasionally/never necessary? Oh, also, my interest is keeping down the chlorine during swim season. Any thoughts about removing this product during the winter? Thanks for a clever product. You should clean the anode and the basket at least once every 2 weeks or so. The cleaner it is the better it will work. I would suggest that you use it all year round. SunShock will not work if the pool is covered. 1. You say that the Sun Shock does not work well if cyanuric acid is present but then advise to put a chlorine tab in a floaty. These tabs are typically half cyanuric acid and when used over a long period cause excessively high concentration of cyanuric acid. Please explain this apparent conflict. 2. I understand about the production of the copper ions by electrolysis. My question is about any problem related to the copper ion building to problematic concentrations akin to calcium from calcium hypochlorite and cyanuric acid from chlorine tabs. What ultimately happens to the copper ions? We recommend using cyanuric acid-free chlorine tablets. Hello. I’ve been using the ionizer for about 2 months. Since the start I have had rust/brown on the coil. It leaves trails of brown in the pool. Why and how can I stop this? Do keep the blue mesh basket on the unit? I use a Remington ionizer in my pool this summer for the first time. Love it! What do I need to do to close and cover my pool for winter? Thanks for your help. Remove the copper anode from the unit and place the unit in dry, dark area. The solar unit keeps getting stuck in the slimmer opening when the filter is running. How can this be prevented? We recommend tethering the unit down. I love my remington solar pool thingy! Best year ever for pool maintenance. I don’t like swimming with a clorine flloater, so have just been adding 1/2 gallon liquid shock when water gets a bit cloudy (after rain or excessive heat) This seems to work fine. pool has never looked beter! 1. Should I remove sun shock when I do this? 2. Can we just take the sun shock out and cover pool for the winter? Do we need to add anything? The clorine floater thing that comes with pool closing kits? Shock? we are in MA outside Boston.Thanks! 1. You can leave the unit in the pool. 2. Yes, you can take out the unit for the winter. Just make sure to remove the copper anode and store the unit in a dry, dark area. You can continue to use the chlorine floaties. We have been using your product for approximately two weeks and it appears to be working ok. However, your communication process has been very disappointing. I have never received confirmation of my email contact even though I submitted it twice and called once. I also submitted a question regarding the use of the sun shock eight days ago, and have not received a response. The only communication I received was a note at the top of my inquiry stating that my comment was awaiting moderation. Please tell me what that means. Very poor example from a company that claims to be very customer focused. So sorry about that! We love taking care of customers, so please don’t give up on us. Contact support@remingtonsolar.com any time or call in to our main number at 888-978-2578. I started using my solar pool shocker a few weeks ago. PH levels were where they should be when I first put it in. Should I be checking any levels other than copper after the initial check? Also, how do I know how much chlorine to put in? You really shouldn’t have to worry too much about pH. pH control is for algae. Your Sun Shock will handle most of that now. Just put a little chlorine in if your pool gets a little green. That shouldn’t be very often from now on. I just received the solar ionizer. I have a 17,500 gallon inground plaster pool. Your literature and instructional video states that the pool should have a PH in the range of 7.2 – 7.8 and a FC level of 3 ppm before putting the unit in the pool. However, in one your responses on this forum you state that PH and FC is not important. You state that there should be no chemicals in the pool at all, just clear pool water. Can you please clarify this? ALSO, currently my pool’s CYA level is 80. In order for me to reduce this to something like zero, I would have to drain my pool completely. This is not an option for me. Can I still use the device with my current CYA level? I only use pure liquid chlorine in my pool. So I am not adding to the CYA levels. We would not recommend using the ionizer if you have CYA in your pool. We purchased a home in Freehold,NJ three weeks ago. The previous owner used chemicals in the pool to balance the pool water chemistry. We started using the sun shock about one week ago and the water looks fine, some green algae spots. We wil be closing the pool for the winter in a few weeks which means the pool will be covered and the sun shock then will be removed and stored appropriately. The pool company is recommending a myriad of chemicals for winter storage. Do we need to add these chemicals as the sun shock will be used again when we open the pool in late spring. I am assuming that if the green algae spots are still present when we close the pool, we probably should shock them with powdered chlorine? Adding chlorine and shocking the pool for the algae is fine. I have been using 2 of the pool floating solar shocks for about a year and a half and love them. This year black spotting on the bottom of the pool showed up! I had, a pool service and they told me that they are stains and not black algae or didn’t know what they were. I have taken pictures. It is spots and blotches over the bottom of the pool. I have tried shock and black algae killer. My phosphates are high and so is the hard water. The PH is around 7.5 and going up. The water is clear and blue. I have scheduled a company to come out and light sand/polish the pool surface to get rid of the stains/?black algae. I have tried putting shock directly on the spots and it doesn’t do anything, this is the first time that my pool is been having to have CHEMICALS put in to try and eliminate problems. Help!!! I have not heard of our units causing any kind of black stains but I have heard of black algae, which is what it sounds like. I try some powdered chlorine to get rid of the algae. what should the copper levels be at? I have a small 5,200 gallon fiberglass pool which came with a “Carefree Clearwater” copper ionizer. I am likely to try your system since your whole unit costs less than the replacement anode for my existing system. But from researching all these copper/silver ionizer systems I have read that the Total Alkalinity must be maintained to no more than 90 ppm or the copper ions will fall out of solution, reducing their effectiveness and giving the pool water a greenish tint. This is problematic because getting the TA that low also affects the pH which can go to a very low level. With the Sun Shock Ionizer, you do not really need any other chemicals other then small amounts of chlorine for sanitization purpose. I live near Seattle and normally winterize my 15000 gallon pool with a winterizing kit. What do I do going forward? 1. Ensure ion reading .3 to .5 ppm. The mineralized water will protect against algae; the ions act as an algaecide, therefore no need to add additional algaecide. 2. Turn off all equipment, including pumps, chlorinators, etc. 3. If the water is clear, no need to oxidize. If less than clear, add chlorine / oxidizer. 5. Drain water, winterize pumps, cover, etc. as desired. 6. Clean and remove electrode from the unit and store in an airtight plastic bag or jar. 7. Store your Chlorine-Free Sun Shock indoors. Avoid freezing. Hi, We had another brand of solar powered ionizer for 15 years and it finally wore out. Purchased one of yours a month ago and we just discovered it isn’t working (yes, we did the clear glass of water test and no bubbles). My question is, since we didn’t purchase directly from Remington, is the warranty still good? I read that someone had purchased one from Amazon and when she contacted customer service they said they wouldn’t honor the warranty on one purchased from Amazon. We do not warranty products purchased on Amazon or eBay. There are NO authorized dealers for Remington Solar on Amazon or eBay. There have been counterfeit “Remington Solar” products sold on these platforms (such as copper coated anodes instead of pure copper). Therefore, you will need to contact your eBay or Amazon seller for refunds or warranty issues. Is the Sun Shock ETL or UL certified? Our products are CE certified. Do I need to clear my pool of algae before I put the solar shock in? I usually clean out the algae with Kemtek chlorinating liquid. It is important to maintain a normal sanitizer level during this initialization period until the ion concentration reaches a protective level. The target is .3 ppm (the test strip should read between the 0.1 and the 0.5 on the bottle), which upon reaching, chlorine reduction may begin. 2. Clear the water prior to floating your Chlorine-Free Sun Shock. If your water is less than clear, it may require a ‘shock’ dose of oxidizer / chlorine. 3. Check for presence of copper ions in the water with the ion test kit. See ‘ION TESTING’. The typical reading at this point is zero to trace amount (.0 – .1 ppm). If higher concentrations are detected, this is usually caused by the previous addition of a copper based algaecide, if so, manage as outlined under ‘ION TESTING’ chapter. 4. Free float while ensuring direct sunlight on the unit. If necessary, tether in a sunny part of the pool . 5. Operate pump and filter system during daylight hours when your Chlorine-Free Sun Shock is generating ions. This will allow proper mixing and circulation of the minerals. Pump operation is unnecessary and optional at night, and the unit can be left in the pool overnight. Im trying to change out the anode but the old one will not unscrew from the base.it just spins any ideas? We just started with our new pool, it took about a week and a half to get it filled, 27ft, using a hose on well water, I had 2 loads of water brought in to finish it, I did had my ionizer floating in it during that time but. Now that its full and its clear but I keep getting brownish stuff on the bottom, looks like dirt or sand, Im very afraid it might be mustard algae. I have shocked it and the water remains clear but i keep getting the brownish stuff on bottom and a few black dots. I shocked it again tonight hoping this will take care of it. I dont know what to do. When should the copper electrode be replaced? I don’t see that covered in the owners manual. When the anode reaches the size of a fat pencil. Typically one will last you a swim season. We just got your unit for our pool, which by-the-way has been getting a LOT of action this summer. Mostly young children as well as a baby or two. It’s a small in-ground pool, well under 22,000 gallons. I just want to confirm though that we’ll need to use 85% LESS chlorine with your product and the pool will still be safe and germ free (considering some of the younger swimmers wear diapers when not swimming). I guess what I’m asking is, will this thing kill germs like e-coli as effectively as chlorine does, or is it limited to algae? Thanks. Good question. We recommend you keep a floaty with at least one tab in it. This will help sanitize. We also include silver in the anode, which is also a good anti-bacterial. I just knew that there is no pure chlorine tablet without cya on the market? So which chlorine tablet should we buy to put in the floater beside your device? Im current using triclor tablet stabilizer, does it cause any problem? Actually our local pool store in Dallas carries pure chlorine. You can try some of the mixes, but it’s best to use pure chlorine if possible. Go slowly with the other compounds if you use Sun Shock. I bought 3 devices and one is sinking is it defective? Do we remove the Sun Shock from the pool when swimming? Does it effect swimmers in anyway? We leave it in the pool while swimming. You shouldn’t have a problem either way. How do you store it for winter? Do you keep it in the pool all year? If you would like, you can continue to use the ionizer during the winter. If you decide not to, you just need to remove the copper anode and place the unit in dark, dry area. Is the Remington Solar Chlorine-Free Sun Shock Swimming Pool Purifier Clean possible to buy in Europe or you are able to deliver to Spain or Norway? Last time I went to clean my unit there was no black build up or calcium. I don’t think it’s working is there a way to check? I have been a pool owner for 25 years. I love my pool! I use to go to the pool store for my supplies, then they moved out. Did it on my own for a year. Then I researched your product. When I started out this year my pool looked like something the creature from the black lagoon would come out of, seriously. Only 2 weeks and a little chemical for piece of mind, and it’s crystal clear! Smells good! Feels good! I haven’t even run out of the box of shock or tablets I bought yet. And I bought the cheapest money could buy. I took pics to document. Just amazing! Thanks! I clean the anode once every week or so. Loving it! (Use rubber gloves) ps. I don’t check any levels, crystal water is all I need! If the unit has been bumped or knocked around, wires can come loose. Nothing lasts forever. If it’s still under warranty, please contact support@remingtonsolar.com. I pulled out the ionizer on Monday because I added 30ppm of instant conditioner as my CYA levels had dropped to 0. My CYA level currently reads 31. 1. Do I need to continue maintaining my CYA levels within the recommended 30-50 range? 2. Being that I used instant liquid conditioner and not powder form, do I still need to wait the 3 day waiting period to put the ionizer it back in? 3. Do I need to continue maintaining TA and CYA levels? 4. I use liquid chlorine in my water to keep the low recommended chlorine levels. If I add this at night and pull the ionizer out while I’m putting in the chlorine, how long should the ionizer be out for? 5. Can the ionizer(when temporarily pulled out) be out of the water before i need to consider storing? No. You don’t want cyanuric acid in your pool with the Sun Shock. You don’t want conditioner in your pool. Ideally, you want nothing in your pool except pure water, and the Sun Shock. You can store it, just don’t let the panel in the sun if it’s not in the water. Hi I just started my new pool and I bought the sun shock….they guy of the pool used acid muriatic for build right level of alkalinity and he told me to use it for the first 30 days to avoid calcium on new plaster…. Can I use the sun shock at same time?? Or it will create issue…?? Shouldn’t be an issue, but keep an eye on it for any discoloration or staining in your pool. Need help, I have been using the cleaner for several weeks. No green algae but the black algae is growing like weeds. How do I control the black Algae. I am in south florida with no pool screen. Black algae can still grow. However, it’s a lot easier to spot treat with powdered chlorine. That’s why we say up to 85% less chlorine, not 100%. It’s still a lot easier to deal with than green and yellow algae discoloring your pool. Can I add liquid chlorine while ionizer in the water or do I need to pull it out? Pull it out unless you need to treat after a big rain or for some other reason. You shouldn’t have to use chlorine on a daily basis anymore. Hi , so I installed the sun shock, and the first 2 days it seemed to be working , however these past few days water seems to be cloudy. I picked up the sun shock and black particles will dripping from it and I noticed a cloud of black stuff coming out all around. What’s going on and is this normal. I’m wondering if I installed it wrong, I put the copper thing in the coil, added the filter on top and screwed in the plastic screw to secure it on the filter. Am I doing something wrong?? Keep using the same amount of chlorine until the copper level reaches between .3 to .5. Once it reaches that then you can start reducing the chlorine. After 1 month, make sure there are no other chemicals other then chlorine in your pool before using the ionizer. Newbie to all things that is pool. Got intrigued by the Ionizer and own one now. We run 3-5 chlorine tablets a week through the chlorinator, shock the pool once a week and add Diatomite filter to the skimmer every week. With Ionizer now in place, do I still need to add the Diatomite filter? Also, can I stop feeding chlorine tablets to the chlorinator? I understand the spot shocking on an as needed basis. You can stop putting chlorine tabs in your chlorinator. However, you should keep a couple of tabs in your floaty. Not sure about the diametrious earth process. You will still have to manage your filtration system as you normally do. My wing screw sheared off in the copper rod. I only had my unit for a month. Each time I disassemble to clean the screw is increasingly more difficult to install. It will go half way on and then stop turning. the blue cover is still flopping around at that point. Is there a way to keep this from happening. You can put a little oil or lubrication on the screw and it should not break off. We love how clean our pool is but we inadvertently squirt gunned some water into the garden beds and on some tree leaves and they don’t look so hot. Is that a thing? Ha. No. Wasn’t because of the copper ionizer water. We’re quite sure of that. Will this work in a moving fountain? Our sprinkler systems gets it water from the lake so my fountain gets algae and green looking. Would this product work for my fountain? Not sure how big your fountain is, but if it’s less than 22,000 gallons, then absolutely, no more algae. Within 2 days of installing the device my pool never looked so clean, clear and inviting. And yes clor tab usage cut by 75%. I use more on my toilets than in the pool. I use Clorox MaxxBlue 6-1 Chlorine Tablets in my floater – are these compatible with the Sun Shock? From reading here, it appears that you don’t want to use Algaecide with the Sun Shock, would these be ok in my floater? Technically, you should be ok. But some chlorine uses cyanuric acid as a filler and stabilizer. Sun Shock (like any copper ionizer) doesn’t do well with cyanuric acid. It can cause purple stains. The stains will dissipate, but no one likes purple stains, so go easy at first with MaxxBlue. I’ve been using it for the past year with fantastic results. I recently changed the copper anode and noticed that there is a rubber washer on the metal screw at the base of the unit where the anode goes. Elsewhere in your literature I read that the anode should touch the metal and be screwed in all the way, implying that the washer should not be between the copper anode and the base of the unit. Should I have or not have the rubber washer in place? Thanks. The rubber bushing should be there. We added it to later models. Just screw the anode to make this snug. Not too tight. You should be fine. Will this have any affect on water skimmer bugs? I’ve been using your product and my water looks great but we have these pesky bugs in our pool. Can I add muriatic acid? Should not affect any wildlife at all. I just had a new liner installed in my inground pool. I filled the pool with well water. The installers put one gallon of shock in the pool. The shocks ingredient is sodium hypoclorite. I waited two days then placed the remington sun shock in the pool. Twelve hours later my poopl water is brown and the stairs are stained brown. The water had been perfectly clear. I checked the clorine and it shows non present and thee PH is at 7.5. What do I do. The well water with additional minerals could be the problem. Do you have other chemicals (acids?) in the pool at the time of install? Contact support@remingtonsolar.com for specific help. Just received my Sun Shock. I don’t know what the level the copper should be at. There are strips, but I could not find the correct concentration. Anywhere on the lower end (.1-.5) should be fine. Contact support@remingtonsolar.com if you have specific questions, however, sometimes the strips are not as accurate for copper testing due to environmental factors. Actually, I would not worry so much about the test strips. Put your Sun Shock in the water, and let us know if your pool turns green. It should be fine. This past week both the coils and the copper rod have developed a black coating on it. It is usually covered with white material that flakes and collects in the basket. The only thing I added was a couple of chlorine tablets earlier in the week. Have added tablets before with no change in the color to the coils and the copper. Is this normal? Totally normal. Your Sun Shock is working great. Some folks are surprised when they see discoloration and residue on the copper anode. This is the ionization process doing its job. You may even have minerals in the water that are being broken apart due to the ionization process. You may get some crazy colors! This is normal…and a good thing. I have a solar sun shock in my 18,000 galon pool and when I tested the water, it read that there was no chlorine, about 30 alkalinity (should usually be 80-100), and the pH level was extremely low. Do i need to add anything or is this normal? That’s the whole idea! You don’t want or need chlorine. Your chlorine levels will be zero. (It will drive your pool guy crazy.) Interestingly, you don’t need to worry about pH either. Welcome to our world! I’m about to move into a house with a pool. If I use this and do a regular test kit will my numbers be all out of wack? Or would I still be shooting for the same numbers? Great question. To use your words, it will be out of whack. Your pH will not be as important since pH manages algae growth. However, you are now using Sun Shock, so your algae should be under control. I had your product for almost a year, I can tell It was amazing. But couple weeks ago I saw some black algae and start spread too fast. I test with the test provided test strip, and color was darker than 2.0 on the scale color. Does the copper ionized (metallic) too high cause this black algae (as some pool forum were mentioned) ? should I take the solar out when it reach 0.3 – 0.5 ? That can happen. (I’ve seen black algae in my pool occasionally). Simply spot treat with a bit of powdered chlorine, or shock with chlorine to get rid of it. It should go away instantly. This is one reason we say that you will use 85% less chlorine, not 100%. Occasionally, you’ll have to treat with shock, but not very often. How long does it take for the copper to build up in an 18,000 gallon pool? Also, if I can figure out a way to measure the voltage between the copper anode and the coil, what should the voltage be in full sunlight? A week. Voltage is very low. Just enough to pull copper off the anode very slowly. You absolutely should NOT have any mustard algae in your pool. Try this: 1. Shock with chlorine and get your pool clear. 2. Make sure your Sun Shock is in the sun at least 4-5 hours per day. 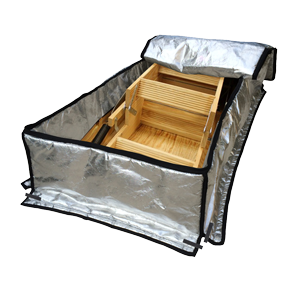 (You can check to make sure your Sun Shock is ionizing by putting the bottom, without the basket, and make sure the sun is shining on it. You will see a “mist” or small bubbles coming from the coils. That means copper is going into your pool As long as your pool is 22,000 gallons or less, you will not have algae in your pool. If you do not see a mist or bubbles, contact support@remingtonsolar.com. So I have a 24′ round above ground pool. We fill with river water. Last year I struggled with yellow algee. While I was able to overcome it. Every time I vacuumed my pool the water was cloudy for a few days. Uggh. I have had my sunshock in my pool for just a week (purchased @ Home Depot) WOW! Crystal clear. No burning eyes and very little algee. The most amazing thing was even after vacuuming (after just 5 days) the water stayed Crystal clear! floater still on pool as directed. Now my question. Do I still need to “shock” my pool once a week? My initial thought is no. But sure would like confirmation. So far I LOVE THIS PRODUCT! Just give your Sun Shock a little scrub every week or two, and you should be good. A little chlorine tab in the floaty is all you need. No shocking needed unless you get tons of rainwater and it turns green for some reason. Otherwise, leave it alone! No. They’ll be just fine. Hi and thanks in advance! 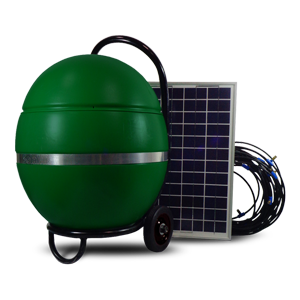 I bought 2 solar ionizers one for my vinyl liner pool (30,000 gal) and one for my mom’s gunnite pool ( 18,000). I did have some algae growth in mine last year when the water temp went up. I did order an additional one for this season. When I opened the pool I took a water sample to the pool store and they said I needed to drain my pool because the copper level was really high. I figured it was from the ionizer and did not drain the pool. I’m hoping the additional ionizer will completely eliminate the need for chlorine this season. The question I have is with my mom’s pool. We live in PA. When there is a heavy rain her water turns brown. Could there be some chemical reaction going on? Thanks. Don’t drain the water. The copper is because of the ionizer. That’s a good thing. Your pool supply store is not familiar with these, and we hear conflicting information occasionally. If the water turns brown after a rain, add a little chlorine shock and see if it clears up. Usually, there should be enough copper in the pool to prevent this from happening, but it sometimes happens after a big rain. That’s why we say “use up to 85% less chlorine”, not 100%. Great question. I would expect the unit itself to last 2-3 seasons with normal usage. Some people like to buy a new one each year. Others like to baby theirs and maximize the life of the unit. Yes, however, you need to do your own research. We will not be liable for fish. All of our research (and experience) says these are safe for fish, but please do your own research. Can this solar unit be used in a salt water pool? Yes, just turn your chlorinator down. I have had my solar shock in a few days. When I picked it up today to look at it, ALOT of black specs fell out of it and into the water. I was just wondering what this could be? That is normal. The basket should pick up most of that, but it will filter out easily enough. It is simply metallic residue from the ionization process. There are minerals in your water that are breaking apart due to the ionization process, and that residue will accumulate on the anode. This is perfectly normal and means your Sun Shock is working fine. I’ve had a Chlorine Free Sun Shock Ionizer for about a year and a half in my pool. I struggled for years fighting algae, spending a fortune on chemicals, scrubbing multiple times a week, I was ready to drain the pool until I found the Sun Shock. It completely cleared up my algae and the pool has looked great. My question is I’ve change the copper rod about three months ago and all was working well. I’ve recently started getting algae back in the pool. I cleaned the copper rod today and there was very little build up on the rod. Is there a way to tell if the solar panel is generating current to the rod? Yes, definitely. Remove the basket and put the rod in a glass of water (while attached to the main unit, of course). Make sure it’s in direct sun. Look for tiny bubbles or a “mist” coming from the coils. contact support@remingtonsolar.com if you have further questions. I dont see in the instructions what the copper level should be when I test it. Mine read .1, good or bad?? Can I use algaecide with the Sun Shoock? I’m a little confused. I’m considering this product and have been doing research. I’m seeing responses to comments in capital letters reading DO NOT ADD CHLORINE! And you never want to use chlorine! Then I see other responses that say just add a couple chlorine tablets to your floater. So which is it? NEVER USE CHLORINE or go ahead and use chlorine? If I decide to purchase this I want to get the right results. Thank you for the question. Ideally, you only want to use Sun Shock in pure water. No other chemicals. However, you definitely want to keep a small floaty of a couple of chlorine tabs. (The manual should be clear about this). You don’t want to run chlorine through your chlorinator anymore. If you get a hard dirty rain and your pool greens up, then you can shock with chlorine powder, but let that dissipate and keep using your Sun Shock without adding additional powered chlorine. If my pool is indoors with glass ceiling is it posible that I charge it outside and then put it in the pool indoors? There is nothing to “charge”. There are no batteries. If you have sun on the Sun Shock, then it will work. If not, it won’t. Sun = will work. No sun = will not work. Should work through glass windows as long as it gets direct sunlight. We just purchased this product and I was reading the manual where it states not to use this in conjunction with cyanuric acid. Since we have a chlorine pool, we have cya in there as well already at a level of 85 ppm. Can we go ahead and use this and avoid purple stains, or is that level of cya going to cause purple stains. Honestly, I wouldn’t risk it. You can’t use this with cyanuric acid. What is the max copper level I should be at? Actually, you don’t have to worry about “maximum copper”. It won’t hurt you. However, some black algae can build up with super high copper levels. Just treat with a little powdered chlorine and you should be fine. I live in North FL and have a screen enclosure over our diamond brite pool. We came home from a 3 week vacation and found our pool turning green due to lack of chlorine. I had stopped using the stabilized tabs 6 months ago due to high cyanuric acid (pool lock) and the cyanuric acid concentration had dropped to under 100 by rain and drain dilution and using just liquid chlorine. I had seen your Remington Sun shock at Sams and had already researched it and read many good reviews so I picked one up and put it on a tether in the sunny part of the pool by a jet. It took less than a week for the water to clear up to sparkling crystal clear with no sign of algae except for the BLACK algae I’ve been fighting for a year. I have been using the SUN Shock for over 2 months now and have a few questions and a tip. After cleaning the anode a few times I noticed the nylon screw becoming harder and harder to remove from the anode, so after cleaning the anode I took a Qtip with a small amount of silicone grease on it and inserted it into the threaded hole and then applied a very small amount on the threads of the nylon screw being very careful not to get any on the anode. So far I have not had any more problems. I do have a question concerning the Black algae, I have been using liquid chlorine and calcium hypochlorite granular for chlorination since it has no stabilizer, would it be ok to heavily sprinkle the calcium hypochlorite granules on the Black algae spots and let it set with the pool pump off for a few hours? Would it cause the Sun Shock module any problems? Thanks and I give the SUN SHOCK 5 stars! I bought this pool shocker and need a new anode. The ones I see now with Sam’s Club have a black piece on the bottom. Will this anode work with my unit if it didn’t originally have this black piece? Old photo. New anodes do not have the black piece. I just ordered one of these units, but my pool was almost black, so I added algaecide, chlorine tablets and shock to clean it up. Do I have to drain it and fill it up again? Good question. No, you shouldn’t have to drain your pool if you can clean up to begin with, with chemicals and filtering. I just got my ionizer. I read the manual online. My container of copper strips doesn’t say what the ideal should be, nor does the manual. In addition, the increment are 0.1 and higher. I notice someone in a previous comment stated their readings were 0.03. Can you tell me what copper readings I should watch for, ideal and too much? Here’s the deal. The lower end of the scale (.1-.5) is fine. But even higher copper amounts won’t hurt anything. Sometimes black algae can thrive in higher copper, so if your copper reading goes way up, just remove the Sun Shock from the pool for a few weeks. I used it all summer last year and my water has never been clearer. I love it. The question I have is how often do i need to replace to copper rod? I use is for about 3 months in the summer. Just purchased the Sun Shock Ionizer and I am looking forward to the results. My question is: I have a saltwater pool, do I continue adding salt? If not, should I turn off the chorine generator? Thank you. You can keep using salt if you wish, but definitely turn down the chlorinator. Just keep a small floaty with a couple of chlorine tabs in it. That should be enough to sanitize. We’ve seen that happen a couple of times, actually in my pool once. Just run your filter a little longer. If it doesn’t clear up, add a little chlorine. Should do the trick. 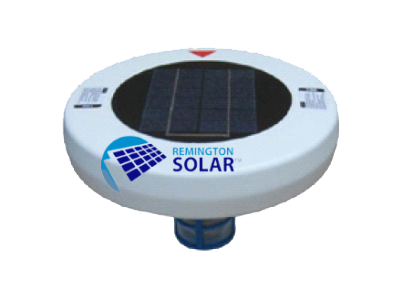 I just ordered one Remington Solar Shock unit and am very excited to get it going. Question 1. – What needs to be done to sanitize the pool water and ensure its safe from bacteria, virus, or pathogens that can be harmful to humans? Question 2. – Does the use of this copper ionizer in the pool turn blonde hair green, or have other non-disclosed side effects? Question 3. – I have a small 7,500 gal fiberglass shell pool in Reno NV., a lot of leaves and blowing dust get into the pool, any other recommendations that I should be considering? 2. Good question. No. That is a myth. Chlorine will actually turn your hair green long before copper, believe it or not. 3. 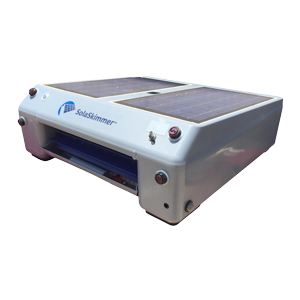 We have a new product coming out, SolaSkimmer, which can help you with those leaves and dust. The ionizer won’t really have an effect on those issues. Please feel free to contact support@remingtonsolar.com with any additional questions. is this product safe to use for hot tubs? if so, how effective is it? I actually used it in my hot tub and rarely had to put chlorine in it. Works fine. I am considering using your Sun Shock pool purifier. However I have a gas pool heater with copper heating elements – could the Sun Shock effect the heater? Not the first time we’ve been asked this question. You won’t have a problem at all. The electric part and the copper part need to be about 1/2 inch away to actually ionize. Your copper piping is a long distance from the ionizer, so you’re fine. Just got your product and was just curious what’s the difference between your copper anoid and that of a copper solid pipe from your local Loews or Home Depot? Great question. We use an alloy of copper and silver. The silver is effective on microbes and sanitization. Our anode is also designed to degrade over time. Not sure if Loews or Home Depot have solid copper, but they may have coatings on it. It may also not be pure copper. That’s as much as I can tell you. Can I use this in a 9x16x5 foot Riverpool ( A small exercise pool with a metal motor on one end to create a current to swim against)? Yes, but make sure it gets in the sun. I put this ionizer in my pool about a week ago. Within two days the water was clear.. I have a 10,000 gal pool. I went to the pool store to pickup a item and the lady there said they sell chemicals with their ionizers something about the ph. I have read all of your manual and it said nothing else is needed. We have to fight with pool supply stores constantly! In our experience, pH is no longer very important. Assuming your pH is normal for your local water, you shouldn’t need to put any other chemical in your pool. Especially do NOT use cyanuric acid. I’m sure she told you that, but it will create purple (temporary) stains. Yeah, you can’t use metal. That’s why we use nylon. We’re not trying to be cheap, you just can’t use metal. Try the bubble test and let us know. I sort of slacked on cleaning the anode during the winter. When I scraped it a couple of chunks came out. It is only 8 months old so the copper thing is still pretty thick. Will it matter that a few chunks of copper came off. I have actually ordered a new anode from Costco so changing it out isn’t a problem but if that one is still working Inwill wait until it is smaller. Thanks for your help. We love this thing. We always had problems with mustard colored algae. Not now. We just keep a couple of tablets in a floater basket. Done deal! If your existing anode is still hanging in there, you can use it. We recommend your replacing it when it gets to be size of a fat pencil. Can you use this unit with Bromine instead of Chlorine. Yes, but remember, try using as little chemical as possible. Sun Shock should reduce your dependency on chlorine or bromine (or other pH balancers, chemicals, etc) by 85%+. Best to put on a pair of rubber gloves. Unscrew it from unit. Use the enclosed wire brush (or you can use steel wool) and scrub it a bit under the hose. That’s it. I’ve had my solar pool floater for several months now. It is winter here in northern CA. No swimming but my pool has remained beautiful and clear. When we have heavy rain as recently I have to pump the water out to prevent overfilling. This is the first winter my pool has remained so clear and clean. I clean the anode once a week in my sink by running water over it and replace. use 2 3 inch tablets of chlorine in my floater. Great product wish I had found this years ago. Need a new basket. Can it be purchased separatey? Any information on what causes purple stains while using the Sun Shock? Cyanuric acid. Don’t use Sun Shock if you have high concentrations. It will dissipate, so don’t worry. Jack’s Magic Blue Stuff will remove it if you have bad stains. I was turned onto this product today and am still looking for that red flag which discounts this product. I spend so much money on chemicals that if I could find a product to lower those costs it would be great. with that said here are my questions. 1. Can I completely stop using products like phos free, perfect weekly, cyaneric acid, and chlorine? Does this product eliminate the need for any chemicals? 2. Do I still have to drain my pool due to the dissolved solid count going to high? 3. What are the rules for running the pool pump? how long and how high of an RPM? 1. Yes, but you’ll need 2 (one per 22,000 gallons). Especially, do NOT us cyanuric acid. It can cause purple stains. 3. You’ll run it about 1/2 as much as before. Same RPM. Welcome to our world. You won’t believe it. ALSO, FIRST TIME FOR THE DURATION OF USE NOTICED YELLOW ALGAE APPEARS. WHAT SHOULD I DO? I have the sun shock working correctly, for months now but rigth now all the plastic on the vacumm feel like they have alage, can i put a chlorine shock with the sun shock on the pool? First of all I love this unit, it’s kept our pool very clear for the second half of summer this year. My question is about anode deterioration. Does the anode keep working until it’s completely gone? I would just like to know when it needs to be replaced to maintain the same level of effectiveness. Replace when your copper stick is about the size of a fat pencil…or you can simply replace annually. Getting ready to close pool for the winter. What is the proper procedure for closing? Remove the Sun Shock from your pool, and store upside down (so the sun is not shining on the panel). My pool has a stabilizer in and is a little high will this hinder the working of the Rem Solar Clorinenator ?? Technically no, you shouldn’t have a problem. However, be aware that some stabilizers contain cyanuric acid, which can react with copper ions and create a purple stain. If you notice purple stains, you may want to stop using stabilizers. (You shouldn’t have to be using chlorine with stabilizers anyway at this point). I just started using Sun Shock a few weeks ago. My CU level is between .1 and .5. Starting Nov through Feb my pool will be in the shade all day long. Should I remove the Sun Shock during that time and switch to normal chlorine or what? Can I run the solar pool ionozer and purifier in a pool that uses the frogger system? Well, I don’t know what a Frogger system is. Please contact support@remingtonsolar.com with more details. I maintain a 30,000 gallon pool for my parents. If I add just one of these would it reduce the amount of chlorine needed to maintain it, or would it be a complete waste of time and money? I’m reluctant to use two for fear of getting the copper concentration too high, since I only get there every two weeks to examine the pool. Also, is there any way to make these work if the pool is covered for the winter? You can try with one, but don’t get mad if it doesn’t work. You’re right on the edge of specs, so try one, then consider another. I have a 30K gallon pool as well. Just ordered one. Did one ionizer handle the job or did you end up getting two? You can try one, but expect to need two. It simply requires more copper in the water to handle the algae. Just to confirm if I need to keep the clorine or acid level at certain level. Meaning do I have to keep adding chloring when it gets below 0.4 or PH level abobe 7.8.. Do I use liquid chlorine or tablets if needed. Also, to clean the white mesh screen, the manual said to use vinegar. Any particular type of vinegar please let me know. Or use muratic/hydrochloric acid. Is this the same is what I use to put in the pool to lower the PH leve. Please let me know how long this unit is supposed to last assuming with good maintenance or how do I know when to get a new one. I’d just bought the unit and use it for about two weeks now and I still see a little algae build up but not as fast as before so I’m just wondering what I’m doing wrong. I recently purchased a chlorine free sun shock. I’ve been using it for a week and results are encouraging. Do I need to open an account on your site and/or register the purchase? If “yes” to either, how do I do it? The testing strips container recommends 0.3 as the ideal level. The color matches on the container are graded at 0.0, 0.5 and upwards. Is there a way or device to indicate the 0.3 reading? I would just leave Sun Shock in your pool and let your pool be your test strip. Even with excessive copper levels, you should be fine. Hello; do i need to add acid to keep the pool ph balanced? also, if i do not have any more algae, do i need to do anymore water chemistry testing? finally, while there seems to be no algae, the copper reading in the pool is still 0.1- any idea why? It’s possible the test strips are not accurately reading copper levels. This can be due to other minerals and chemicals in your water. The best “test strip”, we believe, is your pool itself. Just leave your Sun Shock in the water with as pure a water as possible. If you have to adjust the pH a bit, you can do so with acid, but even then, we recommend doing nothing. Love, love, LOVE! My sun shock unit is working to perfection!!! Absolute miracle! (All I want now is a solar vacuum, lol!) But truly, it is a miracle. The only issue is that I am unsure the strips are working since my copper level never goes past the 2nd color on the strip. I live in Southern CA and it’s been hot and sunny for the last month and a half but the reading stays the same… What could be the deal? Thanks again for your product. It truly is marvelous!!! Honestly, you best “test strip” is your pool. As mentioned on other posts, the copper test strips can be affected by other minerals or chemicals. If your pool water stays clear, as it should using Sun Shock, then it’s working properly. If your pool turns green or gets algae, then contact us immediately at support@remingtonsolar.com. I used the chlorine free sun shock for about 6 weeks until my ion reading became a bit high. I then removed the unit for about a week and developed some algae due to strong rains and sun in S. Florida. The black algae that is now spreading. I am running my pump 24 hours, brushed my pool and cleaned my filter. What should I do now as it appears that the black algae is spreading and my ion level is reading .5ppm? Try leaving the Sun Shock in the pool. Sprinkle a bit of chlorine on your black algae, and wait a few days for the black algae to disappear. You may have to chemically shock a couple of times throughout the summer, but do it sparingly. Nurse the water back to normal, but don’t add any chemicals to your pool if possible. Will my new devise kill the yellow algae that has been a struggle for me.? We have gotten many reports of yellow (mustard) algae disappearing like magic. The black algae can show up periodically, but that can be treated with a bit of chemical chlorine. The copper from your Sun Shock should inhibit the growth of the black algae as well. Hi, I’ve recently added the ionizer to our pool. Not sure if this is related, but our calcium readings have gone down quite a bit: from 175 to 75 in the two weeks the units has been in use. When I bring the water in to get tested, part of the results show that the calcium should be between 200 and 400. Are these conditions unrelated, or is the unit purposefully lowering the calcium, and if so, is that acceptable? Thanks! Sun Shock can reduce your calcium levels, but it’s typically not a real game changer for your water quality. We’ve heard of some pool supply companies saying you want calcium in your water for your plaster, but calcium is not necessary for water quality if you want pure water. It should not be an issue. Is the Sun Shock effective against had to control black algae? People are only commenting about green algae. I have to keep my chlorine level high to keep it from coming back. Black algae can be tricky. Yes, we’ve nailed most other algaes just fine. I’ve even seen black algae show up in my pool. I typically spot treat those with a little chemical chlorine and they tend to disappear quickly. The Sun Shock will tend to control the black algae as well, but you will need to be patient. I installed Sun Shock on 7/25. Have tested for cu ions twice now (8/1 & 8/8). Test strip indicates <0.1). Pool is ~16,000 gallon gunite/pebble sheen. When can I expect to see indication of cu ions? Pool is crystal clear. Actually, your pool is your best “test strip”. Copper levels should be increasing, but if there are other minerals or chemicals in your water (even naturally), then it can affect your test strip reading. Just leave Sun Shock in your pool and enjoy your clean water. But let us know at support@remingtonsolar.com if you have any problems. Hi, put in the solar donut a few weeks ago in my 10,000 gallon pool. I keep wanting to add chlorine because of all the algae problems I have had. Last week I only put in 1/3 gallon and the amount barely registers. So far no algae. My copper reads .9 – is that where it should be? Sounds like it’s working fine. Do I need stabilizer? We were using liquid chlorine. Last water test showed very low stabilizer. No. You do not need or want stabilizer. Using the borax (boron) addition to the pool. Does this affect the xun shock product? Best not to use anything, but a little borax is fine. I just purchased a unit and placed it in the pool today, so I need some time to see how it performs. I get plenty of sun light here in Arizona , so I know it will get plenty of solar energy. Problem: we run our filter at night because off peak power rates are 75% lower. If the unit runs during the day when the filter is off, will the copper ions be properly distributed at night when the filter comes on? You’ll be fine. Good question, though. I assume I leave the Chlorine-Free Sun Shock in the pool 24 hours a day, even though I only have the 2-speed pump on high for 3 hours a day and on low twice for 4 hours total each day. The box just arrived today. Does cyaneric acid levels affect the copper anode and copper levels? I have an Ozone Generator for my 13,000 gal pool. I know there are pros and cons about Ozone Generators but for me it’s water under the bridge. Will this work with the generator? Any special instructions? Not an issue. No conflicts. I just purchased your Sun Shock and I am wondering what pool tests are recommended other than copper level. I typically test for chlorine and PH levels weekly but, from what I understand with Sun Shock, these levels are not relevant. What, if any, tests should be performed for maintenance? Good question. You don’t need to test for anything. pH levels are primarily designed to control algae…which now is no longer an issue. However, do NOT use cyanuric acid or any other stabilizers or chemicals with this product. We have an 11,000 gallon pool and just purchased one of the solar chorline units. We have extremely hard water in our area and even though I keep my ph and alkalinity balanced I have some calcium build up. I bought some scale tech to use but I want to know hiw the chemical will affect the solar unit and do I take the unit out if I have to treat the water? Thank you. Not sure how the calcium removal chemicals will be affected by Sun Shock. However, we suggest not using any other chemicals in your pool with Sun Shock. We know it works great in pure H2O. I have a salt water pool but my system its not working right can i use the Remington solar ? I use bromine in my pool, will this product still be ok for my pool? with solar cover how much would I have to move it? How much circulation does it need? I bought this chlorine free solar sun shock floatie about two months ago and I had a question, is the copper anode in the middle supposed to rust? Well, rust isn’t the work. Disintegrate, yes. It should dissipate into your pool over time. I bought the Chlorine-Free Sun Shock Pool Purifier about a two months ago, the water has been crystal clear until now. Now I have a white water pool mold growing, does this product only treat algae? Not sure about “mold”. You may have to chemically treat that. I just received my sun shock today. I just had my 19,000 gallon pool installed a week ago. My pool man said not to use algaecide because it would ruin my pump filters. As I was reading the Remington manual I saw that this generates algaecide. Do you think it would be harmful to my filters? I’ve had two ionizers in the pool now for over a month, and my pool keeps getting algae and is often cloudy. Am I doing something wrong? It’s driving me nuts after all the great things I’ve read. Will cyanuric acid levels lower eventually with this product? Or is the absolute only way to reduce by water replacement. Water replacement is best. Our product will not affect cyanuric acid levels. Not sure about “slime”. It’s possible there may have been some type of chemical or mineral that was being ionized in your water, but the copper ionization process should be beneficial to your water. My Ionizer continues to float to the skimmer on the shaded side of the pool. The instructions say that I can anchor it in the sun, but I’m not exactly sure how to accomplish that & if it’s ok to tie a rope around the plastic basket on the bottom of the unit. The pool has a spa that is always in the direct sunlight & the spa circulates the same water as the pool. If I place the Ionizer in the spa, will it work for the entire pool? (Pool is 25,000 gal.) Thanks! First of all, if you have a 25,000 gallon pool, you really need 2 Sun Shocks. (You can try with one, but be prepared to get another). To answer your question, you can tie a string around the coil, or around the entire anode and anchor it on the side. It’s super simple and easy. I live in Stuart, Fl and have a pool with a screen enclosure around it. I get lots of sun but wonder if your device will work in my pool. We get asked that a lot. If your screened in porch is cutting the UV rays by 50%, then it will be 50% effective. Actually, we would expect it to still work, but be patient with it. I live in central east coast Florida, our 12,500 gallon in-ground pool is screen covered. I purchased one of these units and have been using it for about a month. Since then when I have my water tested weekly at the local pool supplies store they tell me I have a “0” reading on my chlorine and always tell me to add 2 cups of acid and a jug of chlorine/shock. Although I keep a chlorine tablet a week in the in-line dispenser I do add the acid but not the jug of chlorine/shock. My water is typically crystal clear, except after a heavy rain, with no green or algae evident. Does this mean everything is working correctly? Should I continue to ignore putting a jug of chlorine in every week? DON’T PUT ANY CHLORINE IN YOUR POOL! Your pool store won’t understand what you’re doing. They want you to use chlorine. Your new chlorine reading is SUPPOSED to be zero. That’s the whole idea! We just had a dark blue color plaster put in our pool. Does ionizing the water have an impact on colored plaster? Fades quicker…etc. We have never heard of any fading or discoloring. We can’t swear it won’t happen, but there is no reason for it to. Certainly. Just click right HERE. 2. Does the ionized water help prevent mosquitos from breeding? 2. Great question. Don’t know. If anything, probably not. The water is more natural now. However, mosquitoes typically do not breed in pools, only stagnant water. 10 days after placing solar shock into pool. First test strip is 0.9. Husband misplaced the user manual that came with it so I have no clue what level I am to achieve. Cannot find a user guide to download on here. Anyone?? I need help! My pool has always been crystal clear using chlorine, like everyone else I want to be chlorine free. I have an above ground pool, 18’X 4′ received my unit two weeks ago put in pool for one week. Tested level was 1.5. I took it out of pool, water has turned very cloudy!! What should I do? My water has never been cloudy before? Is there a phone number I call call to have someone help me? Well, does it matter? Typically pH controls algae, and now your Sun Shock is controlling algae. So actually, it’s not as important anymore. We suggest you not put anything else in your pool. Incorrect pool PH can initiate corrosion to anything metallic. So if destroying a $5,000 pool heater through incorrect PH means something, then yes, it does matter. I received my my pool ionizerand everything was in the box except the test strips, can you send me some? Or tell me where I can purchase them. Contact support@remingtonsolar.com and we’ll get some out to you. I read the reviews and they are fairly positive so I bought this. I put it together, making sure the coil wasn’t touching the copper, and placed it in the pool. The algae grew fast and was spiralling out of control in my fourteen thousand gallon in ground pool. I took it out three times to clean and check it, finding a 0.1 copper residual each time. My pool person has had to add chemicals each and every time. I checked it again today, just over a month since I placed in the pool, took it apart, cleaned it, made sure once again that the coil does not come into contact with the copper, using a flash light and turning the thing in my hand and when satisfied, placed it back in the pool and again took another copper residual…0.1 again! I’m guessing your unit is defective. Contact support@remingtonsolar.com for troubleshooting and/or replacement. We guarantee these things, so let us know! You have to be able to have the top in the sun. Some people cut holes or move the cover. Will this device help us at all? Or do we have to put 6-10 floating ionizers inside this size of pool? is ist possible to get a pool ionizer wich isn’t floating in the pool but kills algae and bacteria in the filtre process? That’s a big pool. Conceivably you could use that many Sun Shocks, but seems like a commercial ionizer would be a better way to go. I purchased 2 of these about 1 week ago for a 60,000 gallon pool after ready some really good reviews. I put 1 in the pool and left for about 3 days. It had accumulated a lot of stuff around the Anode which I cleaned. I checked the water and it’s still on the low side. It appears to be doing the job so far but only time will tell. Do you sell replacement parts other than the Anode for this product such as nylon basket, plastic butterfly screw and cooper level test strips? How should I clean the top solar area? So glad to hear it! Please let us know how we can assist you. I just got the unit about a week ago. My water was crystal clear before, now it’s getting cloudy and the sides feel slimy. My chlorine level was 7.5 and I waited for it to lower before adding the unit to the water. I have a vinyl pool and a sand filter. We’ve had heavy rain for 2 days. I’m not sure if it is working. I’m concerned about the slimy walls turning into algae. The copper reading is 0.1 . I have 1 stabilizer tablet floating in the floater as instructed by the directions. We’re expected to get more rain. What am I doing wrong? I don’t want the algae to get out of control. Before putting the unit in the water I had it tested by a pool place. They had me put in alkalinity and calcium hardness. I didn’t put all the calcium hardness they recommended. The calcium reading was 110ppm before I added it. Please help. Hi Roxanne. Thanks for your call today. I think we figured it all out. To reiterate, just shock your pool with chlorine once, then put in Sun Shock. Then don’t add anything (except maybe a floaty with one or two chlorine tablets). That’s it! Call us if any algae shows up. I have not found anywhere that parts other than the copper rod can be purchased. Nothing on a replacement basket, coil, wingnut and most of all the test strips. Also what should the chemistry readings be for a pool with high calcium and phosphate readings before installing the unit. First I want to tell you that I am very satisfied with the Chlorine-Free Sun Shock Pool Ionizer, it´s work so good!. I wish to make forecasts and acquire the Copper Alloy “Anode”, the nylon basket and the plastic butterfly screw as well as the cooper level test strips . Can you help on that? thanks in advance! So glad! We know it’s a great product. Please let us know if you have any questions. I’ve been looking for swimming pool ionizer and I couldn’t find any and then Hop! I found two!. I know ionizer how it works and that’s why I was looking for it. The other I found is using copper & silver to fight algae and disifecting the water as well. May I ask you why you choose to use copper only? In anycase I wish to buy it and can you ship to Europe? Hi Leo. I think you’ll be impressed with ours. Some folks are calling it “magic”. It’s just plain ‘ol chemistry. Hi Geoff. We’d love to sell you one in Australia, but the postage would make it cost prohibitive. Message:I just wanted to give some feedback on the Chlorine Free Sun Shock Ionizer. When it works, it works great. However, it has major design flaws and I think you should seriously take a look at making improvements. This item has costed me more $, not saved me because I’ve had to spend extra money on algae killer and more shock. First, you can’t see inside the mesh cage. Instead of it being plastic solid blue, please make future ones clear like a glass. That way you can see if the spring is bent and touching the copper rod. Each time I clean it and take it apart, I’m wasting time and worrying and guessing if its touching or not. Sometimes I get it on right and sometimes the spring touches the rod with me only finding out later due to algae that it wasn’t working for days when I thought it was. Also, please put a light or an indictator on the apparatus if it’s actually “on” or not. Putting it in water in a bowl and seeing if bubbles come out is time consuming and still doesn’t tell you if its working. I love the idea of this item and would tell all my neighbors and friends with pools to get it if you improved on these two flaws. Otherwise, back to the drawing board and using weekly shock. Thank you for your comments. The Sun Shock, as you describe, does work. However, your suggestions are understandable. We have looked how to minimize confusion on how the Sun Shock works, and if the copper and the coil touch…it will not work. The basket, with the groove in the bottom, is designed to seat the coil against it to act as a natural separator. When the basket is on, it is difficult to see that separation. However, one thing that we have not made clear, is that you can pull on the coil to stretch it out a bit if it’s too short. If it does not naturally seat against the bottom of the basket, then it may not work properly…and if it’s too short, it may be difficult to tell if it’s actually separated. I would suggest that during cleaning, you stretch out the coil (don’t break it, just pull it out so it stretches about an extra 1/2 inch). You may even hold the base of the coil (near the disk) and adjust it so it is more in line with the copper. If you can stretch out the coil a bit, it will be much more obvious to feel that the coil is embedded in the basket. Then it should work fine. The light idea is a nice idea, but it would add considerable expense to the unit. $129 is a very reasonable expectation for consumers if it’s doing what it’s supposed to do. After 1 and 1/2 years of clear water but green algae on bottom and sides and nothing I did helped, I purchased this solar unit mostly on a prayer and on very positive reviews. I cleaned the pool, installed this unit tethering it to the most sunny part of the pool and hoped! I kept the chlorine level a little high, (which before the installation didn’t help), I have a 2 speed pump that I run on high during the day and on low at night. It has been installed for over a month now and absolutely no algae at all, I’ve backed my chlorine level back down to normal and life is good now! Thank You Remington! I wish I could give U more stars! Which solar attic fan do I need?